Please join us for an informative afternoon with our Senior Product Manager, Gary Mandle, Sony Display Systems and find out the various formats of HDR, what makes them different and how you can design your production workflow to use them effectively. 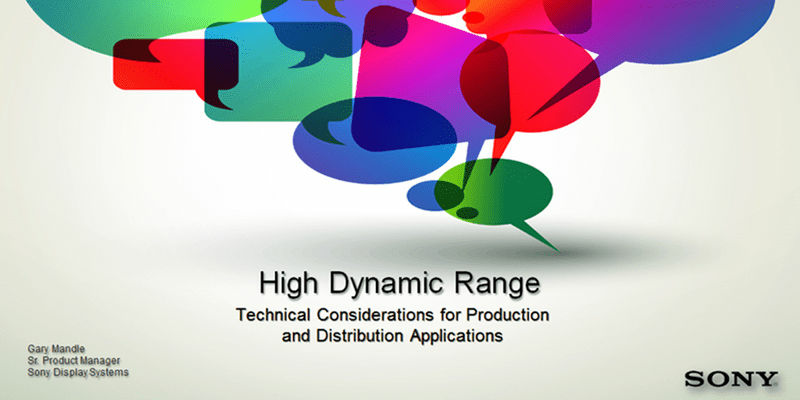 Check out our current line-up that displays HDR and how they could be incorporated into your production environment. We will also address some of your day to day challenges, offer solutions and provide tips and techniques on how to avoid them. We look forward to seeing you there!